WHAT WOULD HAVE LOOKED like a counterintuitive approach to treating pneumonia just a few years ago is emerging as the newest thinking: Spare the antibiotics, improve the outcomes. The other big push in pneumonia treatment is toward more rapid de-escalation of antibiotic use based on culture results. 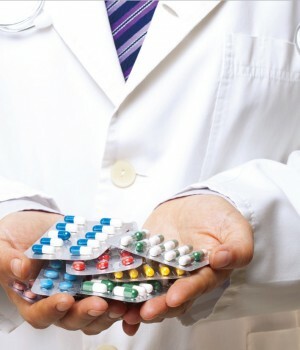 Patients should be reassessed at 48 to 72 hours for antibiotic continuation, Dr. Flanders said, and one question should drive clinical decision-making: Can we narrow the regimen or stop antibiotics altogether? 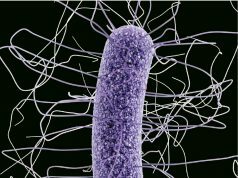 One rationale behind the less-is-more approach to antibiotics is the alarmingly high and rising incidence of hospital-acquired C. diff. 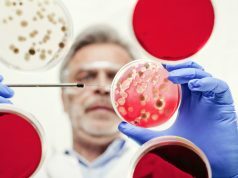 Recent data from the Centers for Disease Control and Prevention (CDC) found 500,000 instances of hospital-acquired C. diff. annually post-discharge. While hospitalists might question how many pneumonia patients receive five antibiotics, Dr. Flanders said he sees it frequently enough. Take the patient who comes in through the ED with suspected pneumonia. The ED physician immediately starts three antibiotics, then the floor physician upstairs adds two more. The next day, the infectious disease doctor, choosing a different approach, adds two new ones. 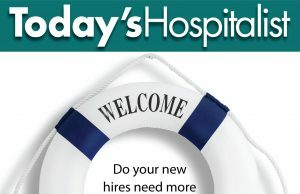 The trend in most hospitals has been to load up patients with antibiotics. In 2006, Dr. Flanders said, about 63% of hospitalized patients at academic centers received antibiotics. That number has been rising steadily. Today, about 75% of inpatients receive antibiotics, and about half of that use is thought to be inappropriate. “The CDC has really started to focus on this because there are a lot of studies looking at overuse of antibiotics, and pneumonia is the common culprit,” he said. In one study, many of the patients who ended up being positive for a virus (influenza in particular) and had negative chest X-rays received a full treatment course for pneumonia. “That’s a huge amount of overtreatment,” Dr. Flanders noted. So what constitutes appropriate antibiotic use for pneumonia? For less-sick, lower-risk patients with CAP on the medical unit, current guidelines call for a beta-lactam plus a macrolide or a fluoroquinolone. For sicker patients and those in the ICU, guidelines call for a beta-lactam plus a macrolide or a beta-lactam plus a fluoroquinolone. And for patients with health care-associated pneumonia and more than one risk factor for multidrug resistant pathogens, a three-drug regimen adding vancomycin or linezolid is recommended. The primary indicators for this big-guns approach include hospitalization within the previous 90 days, a recent long-term care or skilled-nursing facility stay in concert with broad-spectrum antibiotics, and critical illness and/or prior MRSA or pseudomonas. With the intensified focus on MRSA and MRSA-associated pneumonia in recent years, hospitalists understandably wonder how they should approach the surveillance issue. Dr. Flanders explained that while hospitalists who are suspicious of MRSA are now encouraged to treat for the infection, they’re not as likely to run into it as the scary headlines might suggest. He cited a study published in the April 15, 2012, issue of Clinical Infectious Diseases that looked at close to 630 patients who came in through EDs and were admitted for pneumonia. Only 14 of them were found to have MRSA pneumonia. “The good news is that in patients with MRSA pneumonia,” Dr. Flanders said, “the sputum and blood cultures tend to be positive. The scary thing is that of the patients who had MRSA, 30% had no risk factors at all.” Where does that leave hospitalists? If patients look very sick, have a history of MRSA or have suspected multilobular pneumonia, empiric treatment is indicated. Dr. Flanders cited another study looking at factors that predict multidrug resistant infection in pneumonia patients that included 1,300 patients in six VA medical centers hospitalized with health care-associated pneumonia (HCAP). Published in the March 2012 Journal of Hospital Medicine, the study found that 30% of the patients were culture-positive and 10% actually had a multidrug resistant bug. A recent history of MRSA, recent nursing home stay and cephalosporin exposure were the leading predictors of multi-drug resistant infection, followed by a diabetes diagnosis. Recent infusions, wound care and dialysis were not strong predictors for multidrug resistant risk in that study, Dr. Flanders added. Procalcitonin: almost ready for prime time? Another approach to pneumonia treatment generating buzz is use of the biomarker procalcitonin to help guide (and ideally reduce) antibiotic use. High levels of procalcitonin, released in response to bacterial infection, often indicate that a bacterial infection is likely present and that the patient is at higher risk for a poor outcome ” and therefore might be a candidate for an ICU stay. Procalcitonin levels below 0.25 mcg/L on serial testing suggest that the cause of the illness is “some other culprit,” Dr. Flanders added, and that antibiotics in most cases can be safely discontinued. But there is one caveat: Every study’s algorithm has included an overlying criterion that if the patient looks septic and ill and the procalcitonin is low, the physician can treat. Overwhelmingly, however, research has found benefits to using procalcitonin as a gauge to reduce antibiotics. “All of the studies have shown reduced antibiotic use with no difference in clinical outcomes in the procalcitonin group,” Dr. Flanders said. In a meta-analysis that appeared in May 2012 in both the Cochrane Review and Clinical Infectious Diseases, median antibiotic exposure was reduced from eight to four days with no attendant increase in either treatment failure or mortality. As would be expected, antibiotic adverse effects were lower in the procalcitonin group in some studies. While such findings suggest a promising avenue for improving inpatient pneumonia treatment, two confounding issues exist. One is that falsely low procalcitonin levels have been found in patients with empyema and/or parapneumonia effusions, and falsely positive results have been found in some cardiac surgery patients and in patients with non-septic shock. But an even bigger issue is that procalcitonin testing isn’t widely available in U.S. hospitals. Only a handful of hospitalists at the presentation raised their hand when Dr. Flanders asked if anyone was yet testing for procalcitonin. “We don’t have rapid bedside testing available,” Dr. Flanders said, “so I still think there’s some work to be done. But most of the literature suggests that if you’re not dealing with critically ill patients, this appears to be a safe way to reduce antibiotic use in hospitalized patients with possible pneumonia and with pneumonia.” He noted that the University of Michigan has not implemented routine procalcitonin testing, largely because it’s not available as bedside testing, but that he would use it if it were available. If there’s one thing about pneumonia that the literature continues to support, Dr. Flanders said, it’s that individual patient factors are almost as predictive of outcomes as treatment courses in the early days of the illness. How does that translate into treatment modifications? The three big agents that have emerged and demonstrated some promise for improving outcomes are macrolides, steroids and statins. But while macrolides have “passed the test” and made their way into current treatment guidelines, controversy remains. And the course ahead for steroids and statins is less clear. Dr. Flanders cited a meta-analysis published online in April 2012 by Clinical Infectious Diseases that found a 22% mortality improvement in regimens containing macrolides compared to quinolone-based regimens. But he cautioned that when only randomized trials were considered, that mortality benefit didn’t hold up. The current guidelines recommending macrolides are based largely on observational studies. Despite the controversy, Dr. Flanders said that in a sicker pneumonia population, particularly in the ICU, he tends to favor the macrolide. “And I’m more likely to give it until we have better evidence,” he noted. Interestingly, the same study found that regardless of the regimen focus, patients treated according to established guidelines for pneumonia have better outcomes than their counterparts whose treatment wasn’t strictly guideline-based. “I suspect that doctors who treat based on guidelines do a lot of other things that they should be doing as well,” Dr. Flanders observed. Adding steroids in early pneumonia treatment isn’t likely to stand the test of time in Dr. Flanders’ view, based on recent literature. In a 2012 Cochrane review of six randomized trials, some studies found that steroids hastened symptom improvement while one study found they shortened length of stay, but the drugs had no positive impact on mortality. “Steroids may make theoretical sense as an adjunctive treatment in the inflammatory milieu,” he acknowledged. The picture with statins is more complex. 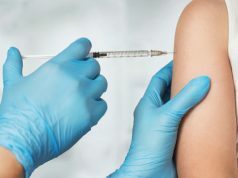 Although some studies have shown a 30-day mortality improvement in pneumonia patients taking statins, Dr. Flanders said that many in the field have argued that it’s “probably just a healthy user effect.” Patients taking statins are less likely to be smokers, for instance, and more likely to have received recommended vaccines. There may again be some “effect on the inflammatory milieu,” he said, with statin use and improved pneumonia outcomes. There may also be an effect related to the impact of statins on cardiovascular outcomes. That idea is worth considering, given the high rate of cardiac events in patients hospitalized with pneumonia. Dr. Flanders cited a study published online in January 2012 by Circulation looking at 1,300 pneumonia patients. More than a quarter had a cardiac event within the first week.